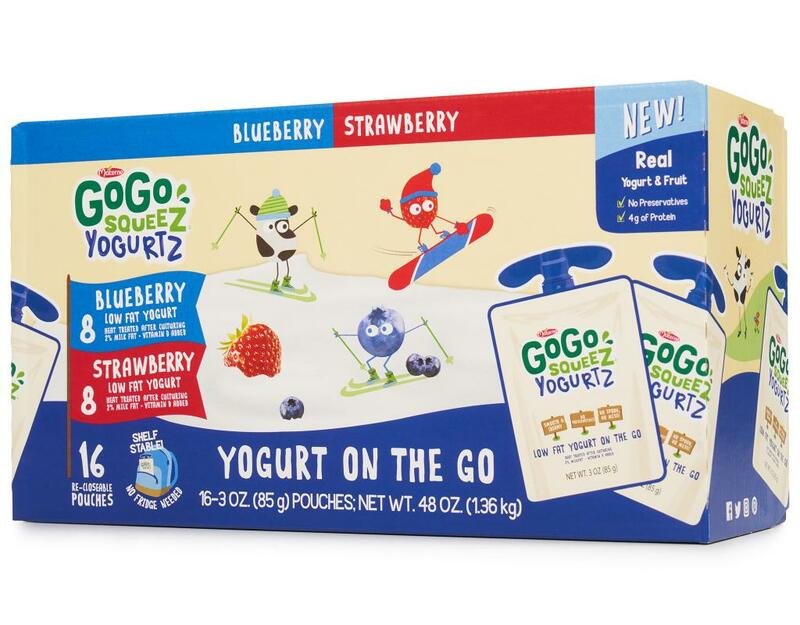 Low-fat shelf stable yogurt on the go! 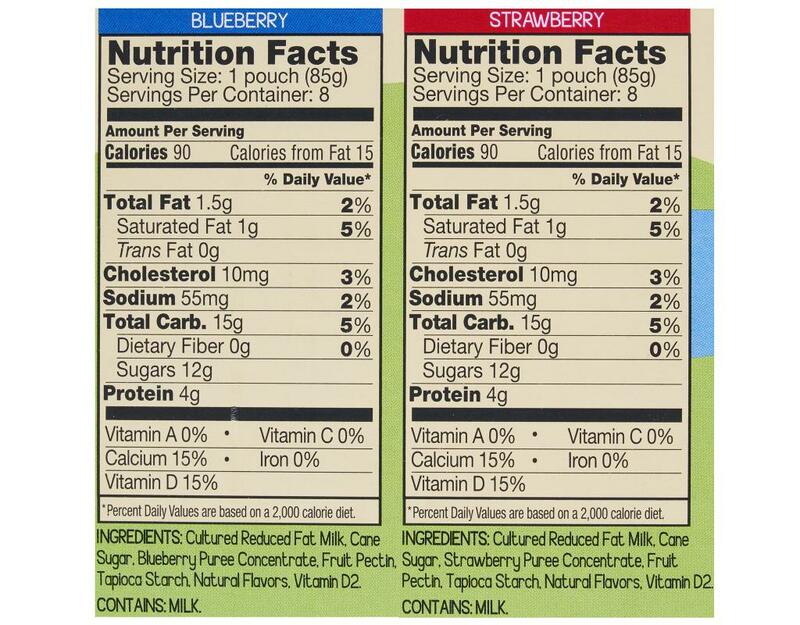 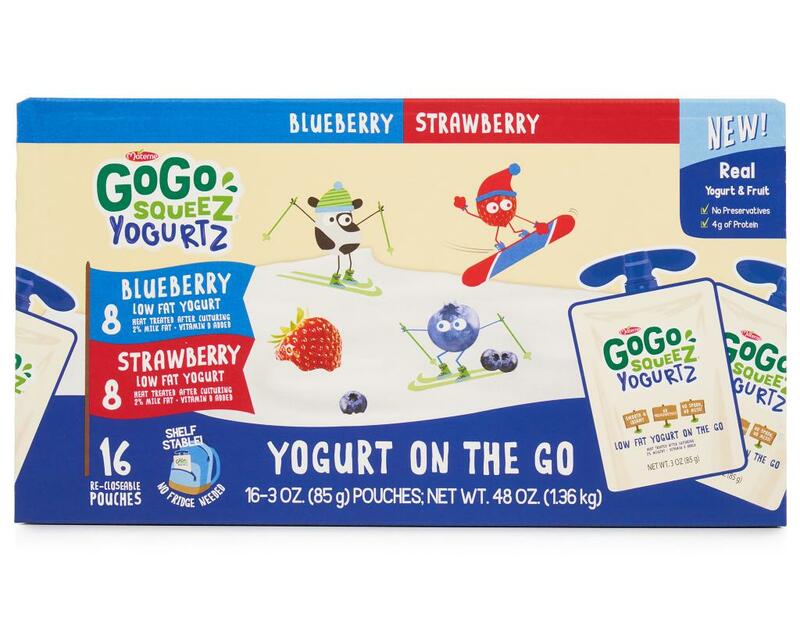 Real scrumptious yogurt and strawberries and blueberries, never anything artificial. 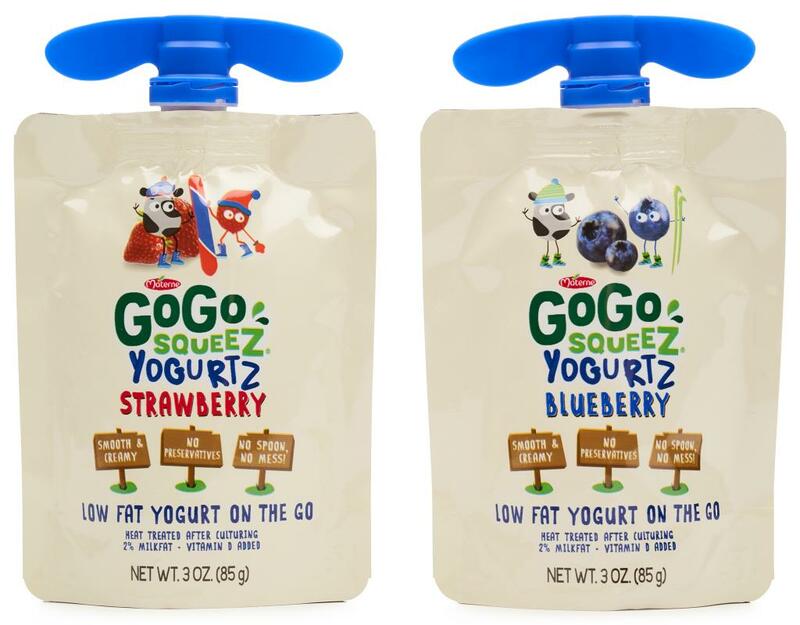 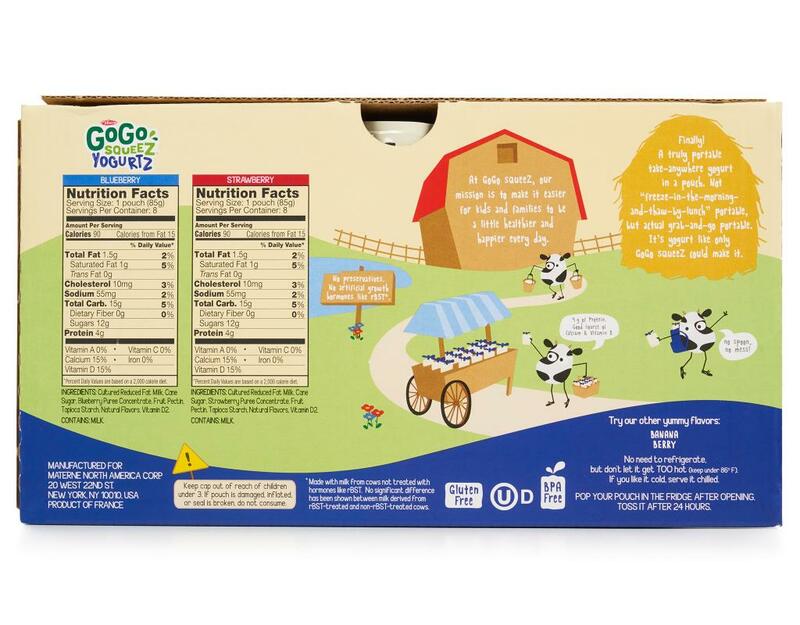 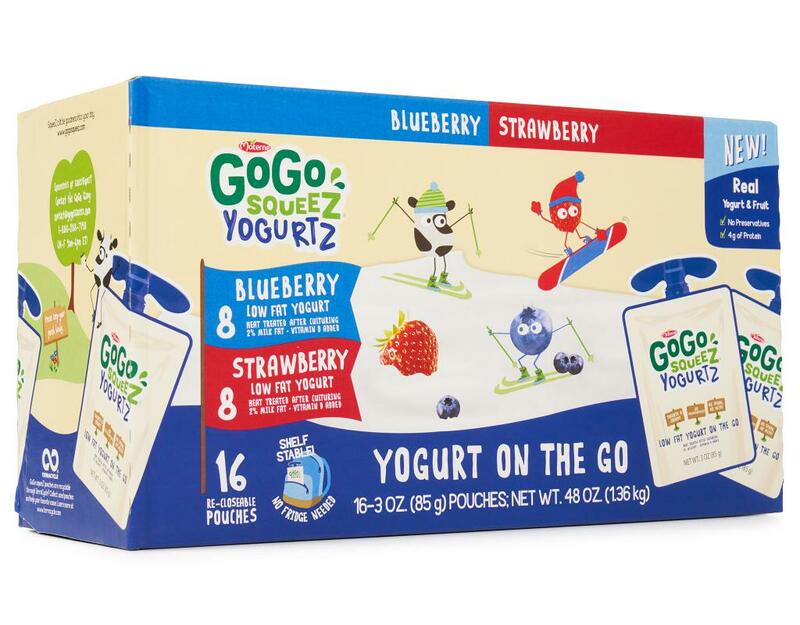 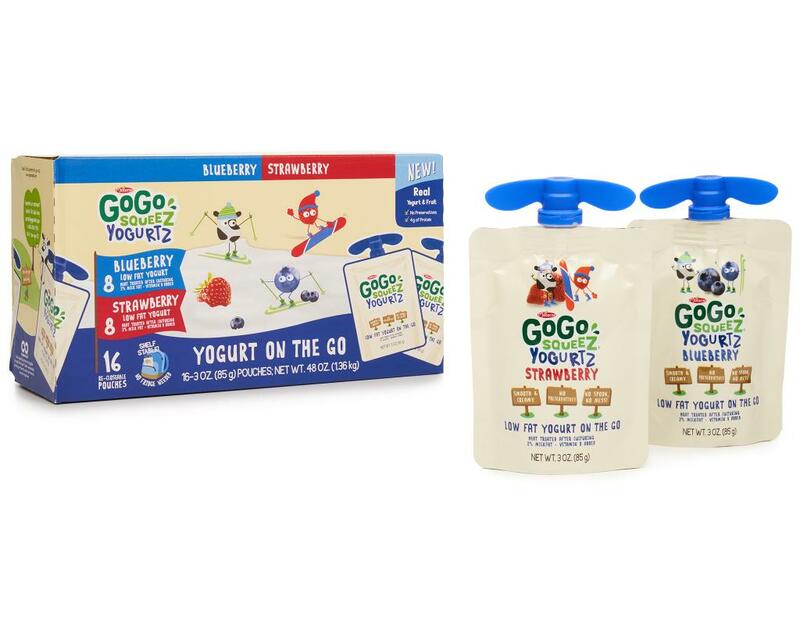 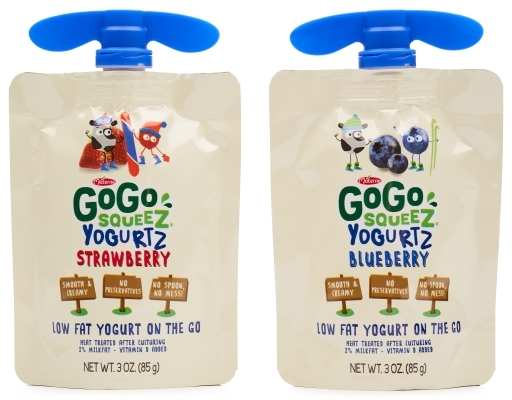 Delivered in GoGo's iconic squeezable, portable pouch, GoGo squeeZ YogurtZ can be stored at room temperature until opened! That’s why you could say it's "So Cool, It Doesn’t Have To Be Cold." 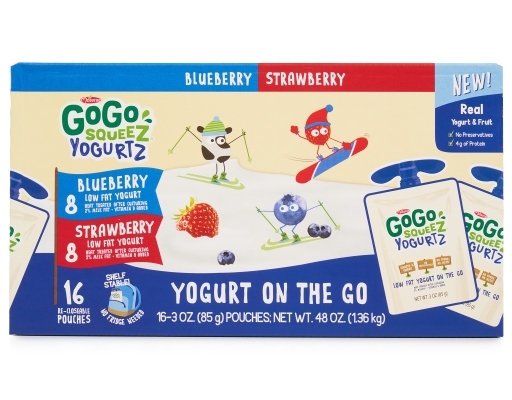 It's yogurt like only GoGo squeeZ could make it.